Come along and join us as we explore the art and creativity of “dark and moody” in this 2-day masterclass aptly entitled “A Winter’s Tale”.Contact Victoria at info@itstartedwithacupcake.com for more info and to book your seat. Jen will be teaching how to achieve this distressed concrete effect and other very exciting cake decorating techniques in this 2-day masterclass. Contact Victoria at info@itstartedwithacupcake.com for more info and to book your seat. Come along and join us as we explore the art and creativity of “dark and moody” in this 2-day masterclass aptly entitled “A Winter’s Tale”. Contact Kelly at kelly@sunflower-bakery.com for more info and to book your seat. Jen will be teaching how to achieve this distressed concrete effect and other very exciting cake decorating techniques in this 2-day masterclass. Contact Kelly at kelly@sunflower-bakery.com for more info and to book your seat. Learn how to create this 2-tier wedding cake inspired from the famous medieval French tapestry The Lady and the Unicorn. Contact Mirla at info@itstartedwithacupcake.com for more info and to book your seat. Learn how to achieve this distressed concrete effect and other very exciting cake decorating techniques in this 2-day masterclass. Contact Mirla at info@itstartedwithacupcake.com for more info and to book your seat. Learn how to create this 2-tier wedding cake inspired from the famous medieval French tapestry The Lady and the Unicorn. Contact serena@nanatang.com for more info and to book your seat. Learn how to create this Dutch Master-inspired wedding cake featuring a variety of sugar flowers and other on-trend cake decorating techniques in this 2-day masterclass. Contact serena@nanatang.com for more info and to book your seat. 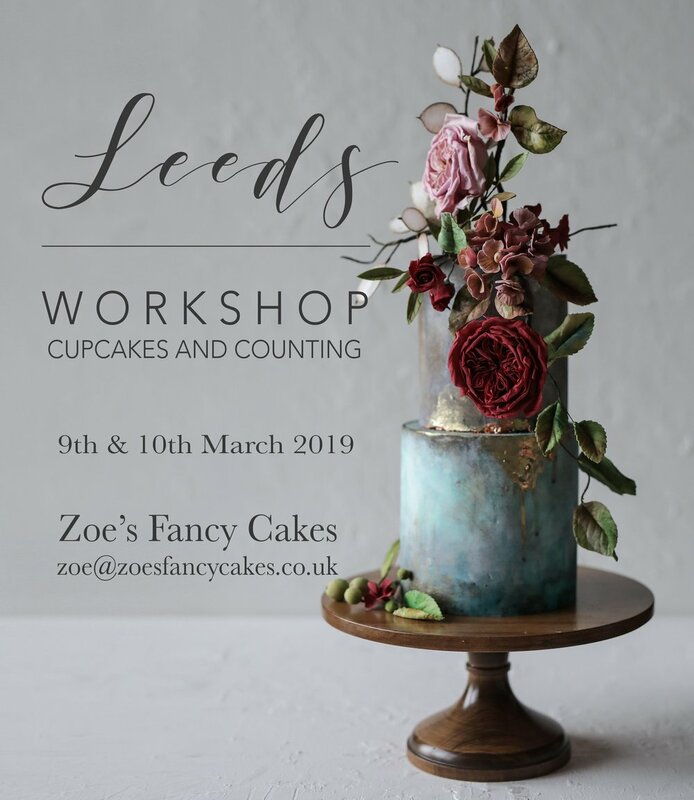 In this 2-day masterclass hosted by the extremely talented Zoe in her beautiful cake studio, Jen will be teaching this contemporary wedding cake embroidered with an artistic display of delicate sugar flowers against a backdrop of an edible fondant finished with a porcelain/concrete effect. Please contact zoe@zoesfancycakes.co.uk for more information. Learn how to create Jen’s signature romantic floral crown and other very practical cake decorating techniques in this 2-day masterclass. Click HERE For more info and to book your seat. Jen will be teaching how to achieve this distressed concrete effect and other very exciting cake decorating techniques in this 2-day masterclass. Please contact Dawn at dawnwelton@icloud.com for more information. 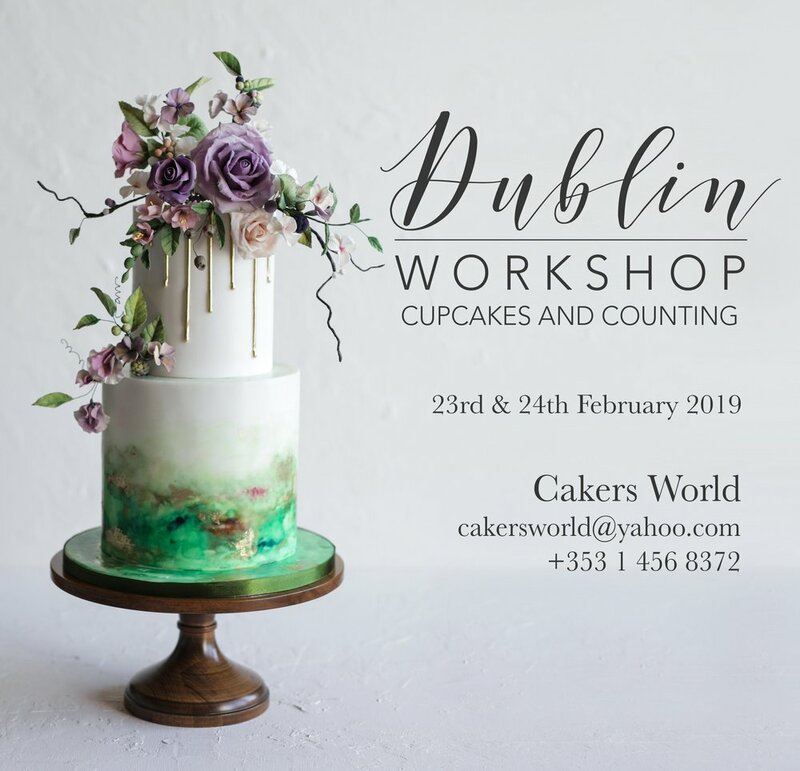 Edible sugar flowers, foliage and berries, and textured coloured fondant - learn all these techniques in this 2-day masterclass. Contact littlemissoc@yahoo.com to book your seat. Learn how to create this Dutch Master-inspired wedding cake featuring a variety of sugar flowers and other on-trend cake decorating techniques in this 2-day masterclass. Contact littlemissoc@yahoo.com to book your seat. Learn how to create Jen’s signature romantic floral 2-tier wedding cake in this 2-day masterclass. Click HERE for more info and to book your seat. Learn how to create this Dutch Master-inspired wedding cake featuring a variety of sugar flowers and other on-trend cake decorating techniques in this 2-day masterclass. Contact kelly@sunflower-bakery.com to book your seat. Edible sugar flowers, foliage and berries, and textured coloured fondant - learn all these techniques in this 2-day masterclass. Contact dawnwelton@icloud.com to book your seat. Isomalt sugar sails, golden drip, and modern calligraphy - learn how to make these very trendy techniques in this 1-day workshop. Contact ateliers.patissiers@gmail.com to book your seat. Learn how to make this intricate, edible sugar art display in this 2-day masterclass. Contact ateliers.passiers@gmail.com to book your seat.